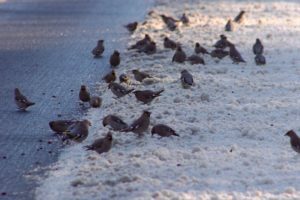 How does Road Salt Affect our Ecosystem? With our cold Northern Ontario winters comes icy roads and consequently, road salt. Trucks travel up and down the highways spitting out these pellets of sodium and magnesium chloride hoping to melt some of the ice build-up. But what are the effects of this salty solution on our ecosystems? Are there any alternatives? Each deicing day, depending on the temperature and road conditions, up to 200kg of salt is applied per kilometer of 2-lane highway! All of that salt doesn’t just disappear once it does its job of lowering the freezing point of water. 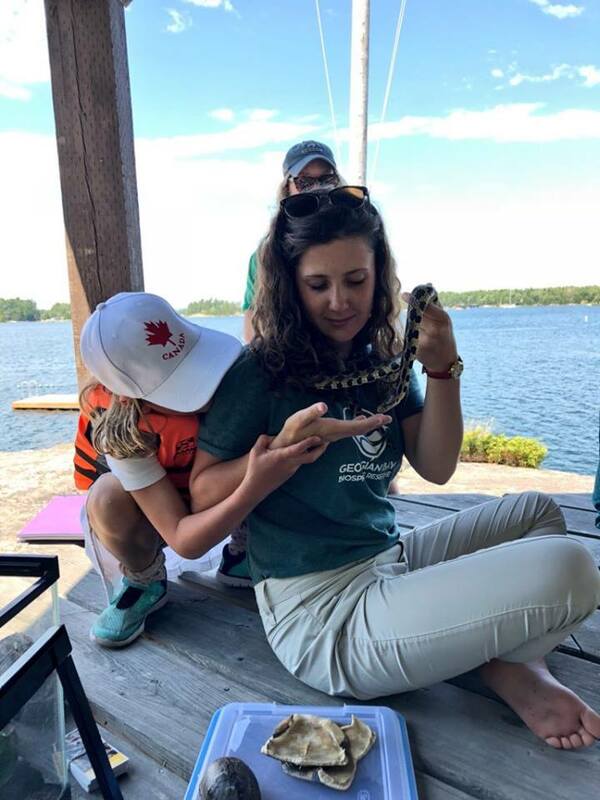 Instead, it is licked up by wild animals, absorbed by road-side plants and/or eventually leaks into nearby waterbodies, like the many smaller lakes found along the coast of Georgian Bay. How are our aquatic ecosystems responding to all of this road salt? One dangerous consequence of polluting our freshwater lakes with road salt is how much better invasive species like zebra mussels can tolerate it than native species. 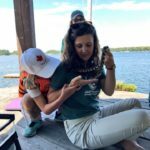 Freshwater scientist Hilary Dugan from the University of Wisconsin-Madison says, “zebra mussels are quite happy living in brackish waters, and therefore will only benefit from the salinization of freshwater lakes that may harm native species adapted to freshwater environments”. Invasive species are often suited to many different environments making them generalists. Compared to many of our native species, that are specialists in their environment, invasive species have a much better chance of dealing with road salt, as well as other stresses we might impose. A study preformed at the Rensselaer Polytechnic Institute in Troy, New York found that with higher concentrations of salt, there was a decline in the amount and diversity of zooplankton in the freshwater lake system. Consequently, this reduction in consumers led to more algae and algal blooms. Although fish communities would no doubt be affected by the reduction in zooplankton, direct effects of road salt are not completely understood. 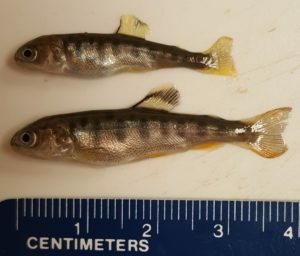 In another study performed at the Rensselaer Polytechnic Institute, rainbow trout were not as affected by the salt at lower concentrations. As concentrations of sodium chloride increased, hatchlings became smaller, impacting their ability to evade predators and survive in a competitive environment. Another interesting effect of salting our roads is attracting moose and other animals to our highways. They are attracted to the salt for the same reason salt licks are used in captivity – because animals need salt minerals in their diet. What started out as an anecdotal observation became the target of a Ministry of Natural Resources study. The MNR found that there was a positive relationship between the number of moose-vehicle collisions and de-icing locations on the stretch of highway featured in the study. Are there any natural alternatives to road salt? Not entirely, but there are some ways that we can reduce the amount used. Some cities have started using beet juice, or sugar cane molasses as a salt pretreatment, creating a sweet and salty “goo” to spray on the ice. 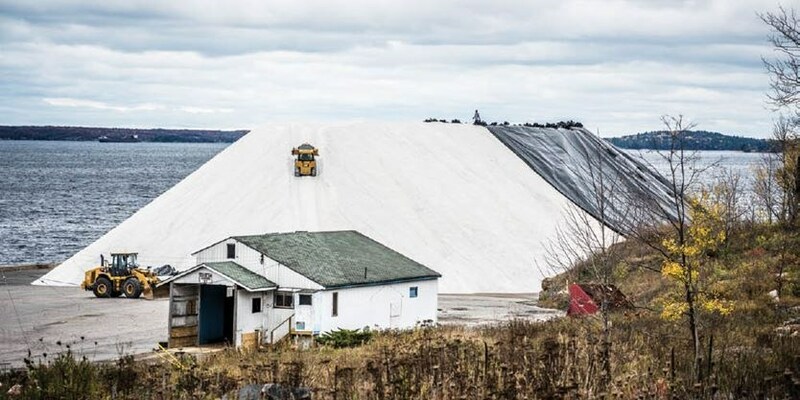 The theory is that dry salt will bounce when it hits the ground, so pretreating the salt with these sugary substances will help it stick to the ice. By using additives, there is the potential to reduce the amount of road salt needed per kilometer of road, thus reducing the amount of salt run-off affecting our ecosystems. The best way for us to effectively reduce the effects of road salt is to limit usage. Unfortunately, road salt is necessary in most cases for human safety. One way you can reduce the need for salt on your own property is by planting a native shrub, grass or tree line at the edge of your property, by the road, to block drifting snow. Next months blog post will focus on the chloride levels in Lake Huron and Georgian Bay. It will specifically focus on the impacts that this element can have on the water quality and aquatic ecosystem. The Ripple Effects of Climate ChangeIs Chloride Contaminating our Bay?